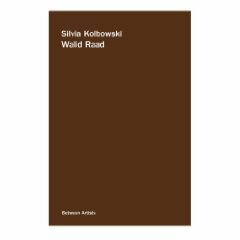 “Do you think that a body of work can somatize such cultural trauma?” Silvia Kolboswki asks Walid Raad in the beginning of an email exchange that soon and unexpectedly begins to mirror such attempts. Raad received Kolbowski’s question last July at his home in Beirut just days before the latest Israel-Lebanon conflict began. Conversations about art and politics often dissolve into the ether of theory or pat, ill-informed historicism. But the incursion of “real life” into the reflections of these two artists, both interested in the layers of mediation between a traumatic event and its aftermath, has produced an unusually compelling and concrete discussion of art and politics. A portfolio of images at the end of the book pairs selections from Kolbowski’s in-progress Images based on the film Hiroshima Mon Amour and Raad’s Let’s be honest, the weather helped (1989). Raad’s diagrams of missiles, with their sober data and calculations, convey the emotional distance created by repetition and numbers. Kolbowski’s Images, which the two discuss at length, are a series of photographs replicating each frame of the love scenes between the Japanese man and French woman who star in Alain Resnais’s film. The bodies of work represent two distinct (and potent) ways of “somatizing” the cultural traumas linked to clean, logical dates and names: January 21, 1986, Beirut, and December 7, 1945, Hiroshima. The dialogue between two people so discourse savvy and theory informed—Kolbowski was co-editor of October for eight years—could in other circumstances have resulted in something pretentious or, at worst, irrelevant. But here, for once, artists’ blunt confrontation with violence and vulnerability created a gripping exchange firmly moored to the present. Kolbowski and Raad may have failed to reach any conclusion about the topics they touch on here: the impact art has on political resistance, for example, or the role of form and content in such work. But conclusion would have been antithetical to both artists—it would imply an end to the working through.